Matheu Nelson was the 13th ranked catcher coming out of high school, and is battling to replace Cal Raleigh as FSU’s starting catcher. Nelson was a four-year starter at Calvary Christian High School in Clearwater, FL and led his team to 60 straight wins, including one state title. The catcher doesn’t have the biggest posture, only standing 5-foot-11, but he has as much strength as anyone in the nation. In his final two years of high school Nelson hit ten total home runs and also added a home run in the fall ball exhibitions. He also had multiple warning-track shots. Nelson has a low stance with a short leg kick and a simple swing that allows him to get to any pitch. If he can put the bat on the ball, he will be fun to watch with the potential to hit double-digit home runs. Defensively, he has a strong arm and does a good job of blocking pitches in the dirt. Look for Nelson to be the opening day starting catcher and make a big impact this season. Robby Martin, like Nelson, was ranked in the top 200 overall players coming out of high school last year. Martin is battling for a starting job as the opening day RF/DH. The Tampa native led his high school to a state title, just like Nelson. Martin is a prototypical RF, with a large stature, standing 6-foot-3 tall, and having a strong arm and a powerful bat. Martin is not the quickest or athletic player but his abilities with the bat are unquestionable. 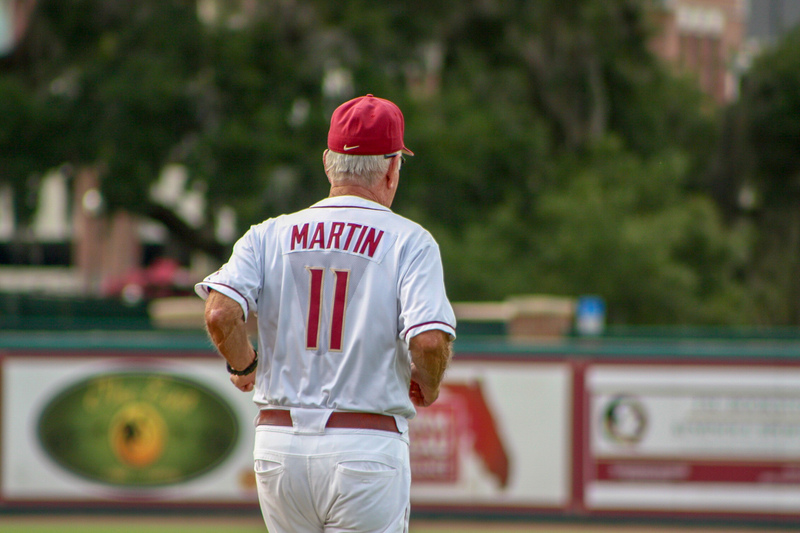 Martin hit three home runs in five FSU fall games and has shown all sorts of pop in batting practice. Martin stands tall and has a slight leg kick that helps him extend through the ball with his long arms creating power. He has also shown the ability to hit the ball to all parts of the field, not allowing defenses to shift on him. The OF has a very strong arm, throwing 90 mph from the outfield, but his range is a question which might lead to him being the DH. But, Martin’s bat should make a huge impact on FSU’s lineup this season. I wouldn’t be surprised if Martin hits 15 home runs this year. Nico Baldor started his college baseball career at Miami, playing in 34 games and eventually starting in the outfield during his freshman season. Baldor transferred to FSU and played for the club team during his sophomore year of college before joining the team in the fall. Since joining the team, Baldor has been in a battle for the starting 1B job and put up quite the performance. Baldor started each of the five games, hitting somewhere between the 3-5 spots in the lineup every game. Baldor seemed to get on base almost every at-bat, either roping a line drive up the middle or working a walk. The 6-foot-2 first baseman also made some nice defensive plays in the field throughout the 5 games. He has a low, wide stance in which he uses his hips to generate power. Baldor has a good eye and is a contact hitter that gets on base a lot. Baldor could make an impact hitting in the middle of the lineup almost every day for Mike Martin’s squad. Antonio Velez transferred to FSU this season from Hillsborough Community College and is battling for a midweek starter job. The transfer started three of FSU’s five fall games and did a solid job. Velez showed to be an efficient pitcher with above-average stuff. The 6-foot-1 lefty has an over the top delivery with a fastball that can get up to 93 and sits around 90, a developing slider, and a very good changeup to keep hitters off balance. Velez had 43 K’s in 41.2 innings pitched last season, showing he’s more than a crafty lefty. He also throws many strikes and is consistent with his delivery. Look for Velez to get a few starts this season and get a good amount of innings on the mound. Jack Anderson’s high school stats show how much of a workhorse he can be, throwing 184.1 innings in three years of varsity high school baseball. Anderson was also ranked in the top 200 overall players from last year’s high school class. The 6-foot-3 righty was FSU’s top pitching recruit commit coming into the season. Anderson worked in 3/5 fall games and didn’t allow a run. Most impressively, he struck out the side on just ten pitches against Jacksonville. The righty works from a ¾ delivery and has a three-pitch mix with a fastball that works in the range of 89-91, an above average breaking ball that has tight break on it, and a developing changeup that could end up being a huge pitch for the freshman. The Tampa native has outstanding control, walking just 6% of the batters he faced in high school. The freshman should get a good amount of action out of the bullpen and maybe even a midweek start or two. 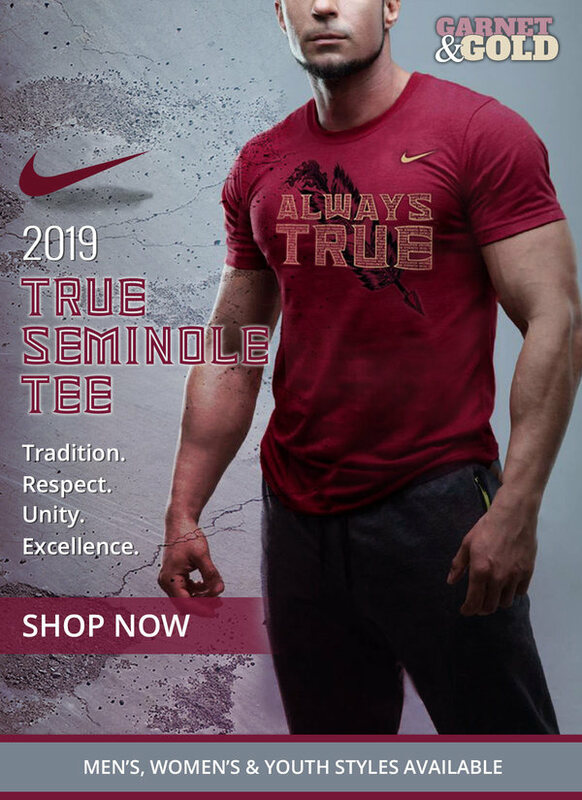 Look for Anderson to have a big impact on the Noles’ rotation for not only this year but at least the next two years as well.